There are so many choices for the bachelorette party to make when planning the last night out so we thought it would be helpful to narrow down your choices if you are going to get a bachelorette party gift. The first thing to ask yourself is if the bride-to-be is sassy or classy in making your decision on what bachelorette party gift you want to give her. We know that money is tight with most and the bachelorette party is just icing on the cake of spending during the wedding process. Below we have listed some great bachelorette party gifts that won’t break the piggy bank and will make a memorable bachelorette party and happy bride-to-be. 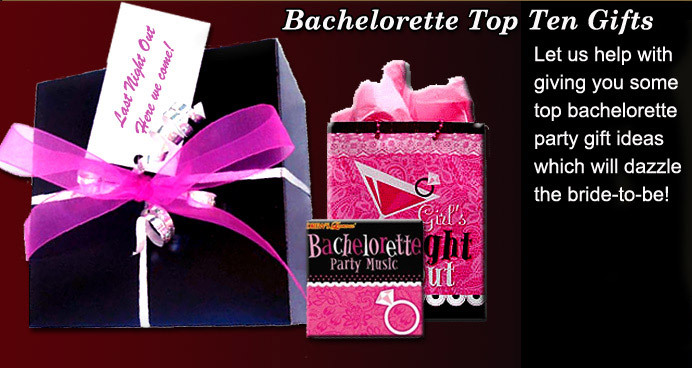 A great thing about this bachelorette kit is that it can be used during the bachelorette party and the honeymoon. The bachelorette survival kit comes equipped with a Pecker glow stick, multi-speed vibe, ball and chain, Stud Playing Cards, All Day Pecker Sucker, Pecker Ring Toss Game, Pecker Surprise Shot Glass, Pecker Nose Glasses, Pecker Party Veil, Last Night Out Brooch, Lover's Cocktail, Pecker Whistle, Lock & Key, and Warming Massage Lotion. What else would you need to have fun at your last night out! All of this together is only $37.99. It also comes in a cute bag that can be used after the bachelorette party and honeymoon are over. This is a bachelorette favorite. Bachelorette parties have been known for the gag of bringing a blow up doll along to accompany the bride-to-be. There are so many blow up dolls on the market to choose from which makes it fun for the bachelorettes. Dress the bachelorette party blow up doll as your favorite rock star, the groom, a funny holiday icon, Barak Obama, or anything your heart desires. They also make mini blow up dolls which are pictured here and are only $7.99 each! 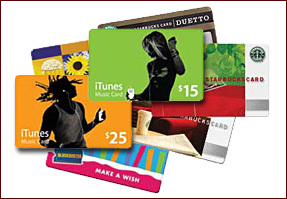 If you have a bride-to-be that needs some financial help with her wedding and after, or someone who really enjoys a certain restaurant, bookstore, iTunes, etc, you may want to make it easy and purchase a gift card. There are so many gift cards out there and many do appreciate the gift of plastic other than a blow up doll. Get what you can afford as you can get bachelorette gift cards for any amount you want to spend. Just make sure they don’t expire since some cards now do expire. 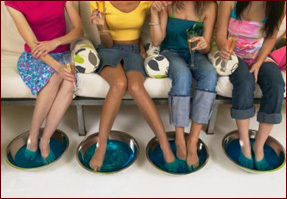 Take all the girls and treat yourself to a bachelorette manicure/pedicure gift! Enjoy the company of your girlfriends and be pampered as you drink your margarita or martini. Spend some quality time with your bachelorettes as you don’t have many chances to enjoy each other’s company for a last night (or day) out. You can also go to a spa or massage which can be kind of pricy and make sure to plan ahead and get group discounts. You and the girls will be nice and relaxed. Bachelorette glow in the dark massage lotion, shower gel and bubble bath. 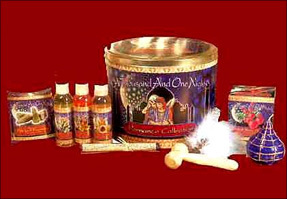 A fun gift is to get the soon to be mrs is a set of glow in the dark massage lotion an bubble bath. This is an excellent gift for the bride-to-be to take on her honeymoon. Turn out the lights and glow away your worries! The bachelorette will appreciate this gift which only runs $29.99 and also comes with a loofah. If you have a sassy bachelorette, this gift pack comes with everything she will need to have a great time on her honeymoon.